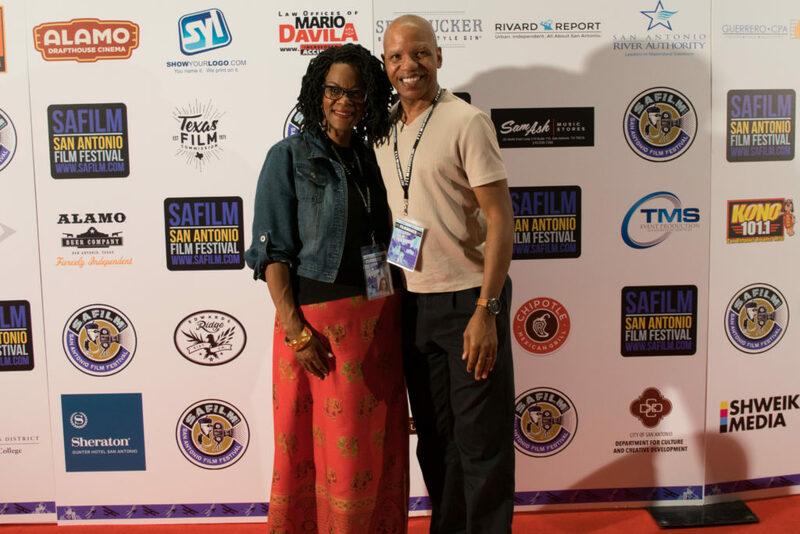 Filmmakers Lisa N. and Elgin Alexander on the red carpet at the San Antonio Film Festival, August 3, 2018. ‘What Mercy Looks Like’ has earned a second laurel! 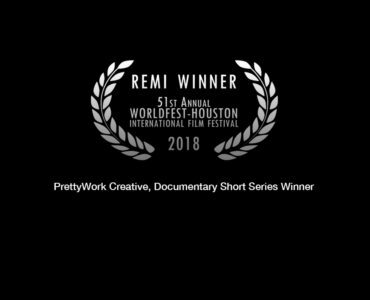 The short documentary about the volunteers who came to help Houstonians rebuild after Hurricane Harvey was selected for showing at the 24th San Antonio Film Festival. The project that started out as a promo reel for Vineyard Mercy Response has far exceeded the couples’ expectations. This was the couple’s first film. “Having my family travel with us to see the film for the first time meant everything,” Lisa commented. 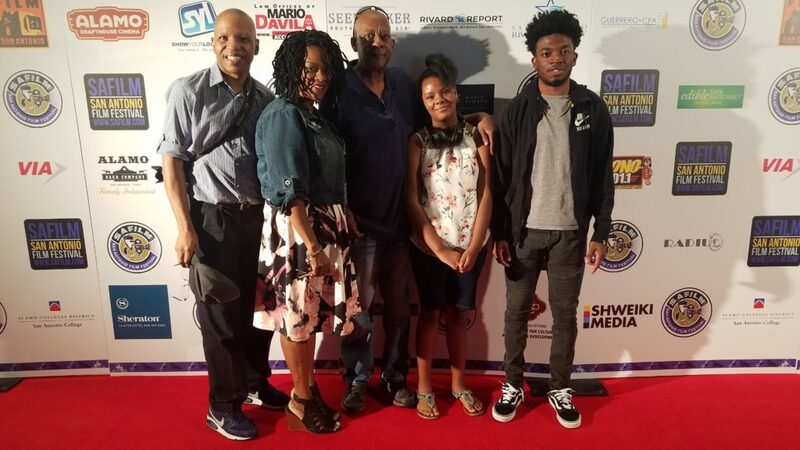 All in the family: Lisa’s father Mr. Jesse Daniels, niece, and son attended the showing of ‘What Mercy Looks Like.’ The film was dedicated to Lisa’s sister, Jessica Daniels who passed away suddenly during the film’s production. As the one-year anniversary of Hurricane Harvey approaches, the Alexander’s are hoping for a quiet hurricane season. 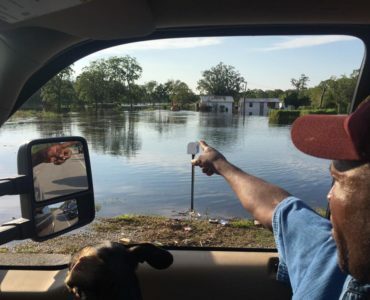 “So many people are still displaced and trying to recover,” Elgin said. When asked about new projects, the couple both agree that they’re open to producing and directing another work should the right story come along. 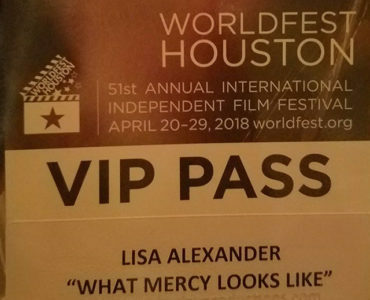 ‘What Mercy Looks Like’ earned its first laurel by winning a Gold Remi at the 2018 Worldfest Houston International Independent Film Festival. The film will be released on Amazon.com at the end of August.